HomeAll Posts...How Much Cardio Do You Really Need? It seems like I see the same people on the cardio machines every time I go to the gym. They run, climb, or cycle for over an hour – and yes they do work up a sweat, but they’re also unknowingly burning their precious muscle away. Often, they’ll wonder why they don’t look leaner, or why they’ve hit a plateau with their routines. Cardio provides so many incredible benefits. It makes our heart stronger, increases endurance, burns calories/fat, can make you faster, and most of the time, it can be a lot of fun. But, after a certain point, you can actually start to see diminishing returns from cardio if you’re doing too much. So, how do we find the sweet spot? 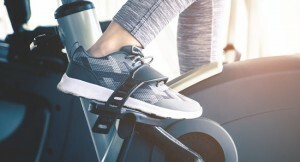 According to the recommendations from The American College of Sports Medicine and the U.S. Department of Health and Human Services, we should be aiming for at least 150 minutes of moderate-intensity cardiorespiratory exercise, 75 minutes of vigorous-intensity, or a combination of moderate- and vigorous-intensity exercise per week. If you’re doing a moderate activity, like a quick walk or jog, a fun dance class, or a moderate cycling class, you would only need to do 30 minutes five days a week to check that box. For more intense cardio, like High Intensity Interval Training (HIIT), Orangetheory or another intense bootcamp, three 25-30 minute sessions per week would be enough. When in doubt, 30 minutes of cardio most days of the week is a good rule to follow. The sweet spot will be something that makes you feel energized and not depleted. You’ll also want to focus on doing cardio that you enjoy! Pair cardio with strength training. A solid routine includes cardio, strength, flexibility/mobility, and rest. Even if you’re not getting in a traditional workout, focus on ways to be active throughout the day. Strength training will help to protect and build lean muscle, which burns more calories than fat. Alternate cardio intensities. 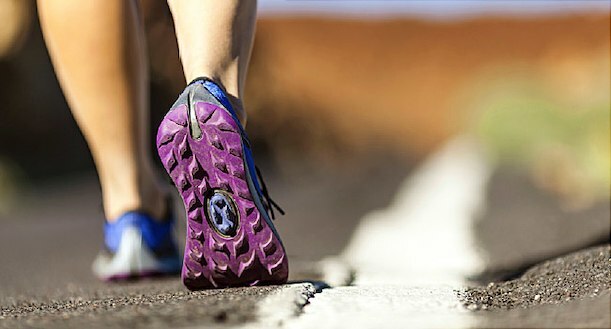 Try to vary the type of cardio you’re doing (a challenging day, an easy day, a hill day, an off day, etc.) to provide adequate recovery time and prevent burnout. Instead of adding time to your workout, add a challenge. On the treadmill, you can play with the incline or add in speed intervals as a simple way to make the workout more exciting and challenging without being on there longer. Try new classes! This is a fun way to try out new routines and change up your cardio sessions. Try an indoor cycling, dance, or Zumba class. If you’re working out at home, check out the Fitness Marshall’s dance cardio videos.